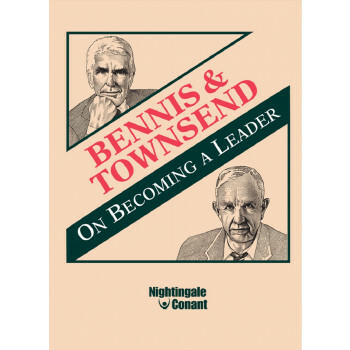 Based on interviews with hundreds of renowned leaders from a wide variety of industries and backgrounds, On Becoming a Leader will teach you the proven skills to take your employees, colleagues, and organization to the top. You can grow yourself into a leader. The time is right to do so. And this is the audio program that will help you do it. Master the skills on becoming a leader in the 21st century! Become the kind of leader your organization needs NOW! To remain competitive in the 21st century, America needs a new generation of leaders who can shape, rather than surrender to, an increasingly hostile business environment. Are you one of these enlightened leaders? If so, there’s still much you can learn. And if not, you have the potential to become one. You can grow yourself into a leader. The time is right to do so. And this is the audio program that will help you do it.